Graphics options are limited to four presets. Main menu HUD is stretched. There is also a bug with the FOV resulting in the minimum FOV being 140. See Field of view (FOV). Go to the user configuration location. Open game.cfg with your text editor of choice. In Ultrawide resulutions the FOV slider in-game has a minimum value of 140. This causes a bad case of the 'fish eye' effect and causes several important HUD elements to not display properly, if at all. Change the game resolution to a 16:9 resolution. Save the settings and exit the game. Restart the game. The FOV slider will now allow you to change the FOV below 140, up to a maximum of 95. Apply the change in FOV, then change back to your desired resolution and save. Go to the system configuration location. Add the command below and save. Set the in-game option "Fullscreen" to "No". Not currently available, but planned for final release. Launcher uses P2P for downloading and updating the game (can be disabled). Game itself doesn't use P2P connections. Right-click on the application and select Run as administrator. Run the launcher and log in but do not launch it. 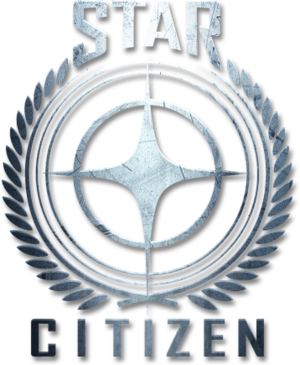 Right-click on StarCitizen.exe and select Run as administrator. Click close window red X in the upper right hand corner. The installation will continue. These are estimated system requirements and may change for the final release of the game.